The Star Hotel Rutherglen are famous for serving a great aussie steak as well as authentic chinese cuisine. Looking for a place in Rutherglen to have your wedding reception, birthday or work function? We cater for all kinds of functions. Neat and tidy rooms in the heart of Rutherglen. Prices from $75 for a double room. 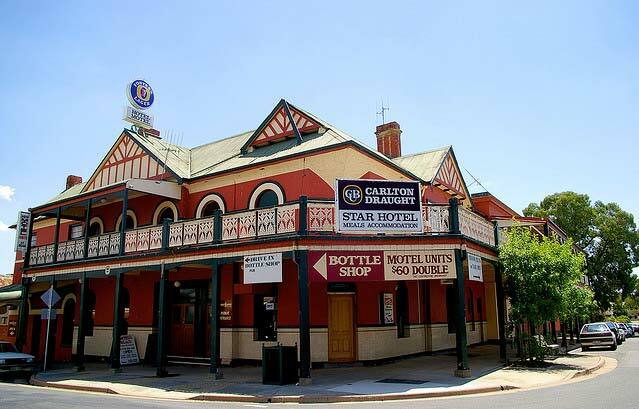 The Star Hotel Rutherglen was established in the 1860's and is currently run by Paul and Robyn Davies. The Star Hotel offers 6 affordable and comfortable motel units, which can be used as home base to explore the local Rutherglen wine region as well as surrounding areas like Beechworth and King Valley. The Star Hotel has a Chinese restaurant, which also caters for a host of traditional pub food, as well as a children's menu. Everything is cooked to order so gluten free dishes and other dietary requirements can easily be accommodated. We also offer an onsite ATM, drive through Bottle Shop and a heated Beer Garden.